This shop has been compensated by Collective Bias, Inc. and its advertiser. All opinions are mine alone. #DelightfulMoments #CollectiveBias These Pumpkin Cupcakes with Pumpkin Spice Buttercream are the perfect way to welcome Fall! Can you feel it? Fall is in the air! Before baking these cupcakes, I hadn’t really gotten into the mood yet. But I have to admit, these cupcakes have jumpstarted my mood and I’m all-in ready for Fall now. 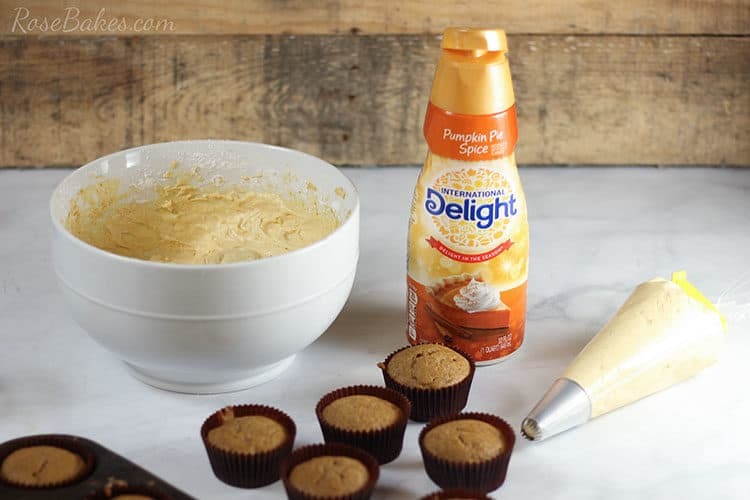 This dessert is made extra special by adding a splash of International Delight® Pumpkin Pie Spice creamer. That’s really all it takes to feel like Fall and the holiday season has arrived – just a splash of seasonal flavor! 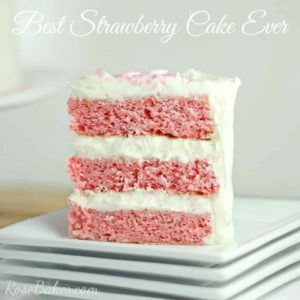 I’m calling these dessert, but I could seriously eat one for breakfast and be set for the day! Shhhh – just don’t tell my kids! They’re just a perfect mix of moist spicy cupcakes with super creamy buttercream frosting! 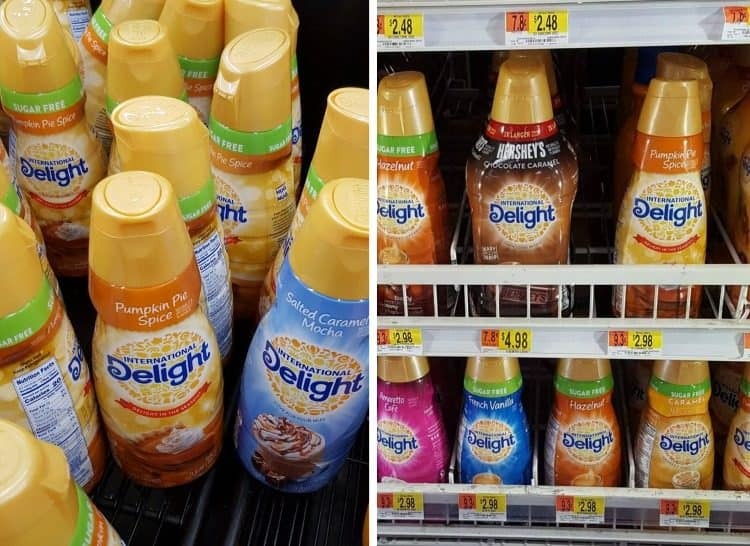 I found the International Delight® Pumpkin Pie Spice creamer in my local Walmart in the dairy case. If you love that flavor, also look for the other amazing new flavors, like International Delight® Sugar-Free Pumpkin Pie Spice and International Delight® REESE’S Peanut Butter Cup. In fact, stock up and make the merriment last! You can enjoy them in your daily cup of coffee or in a fall-inspired recipe like I’m sharing today! 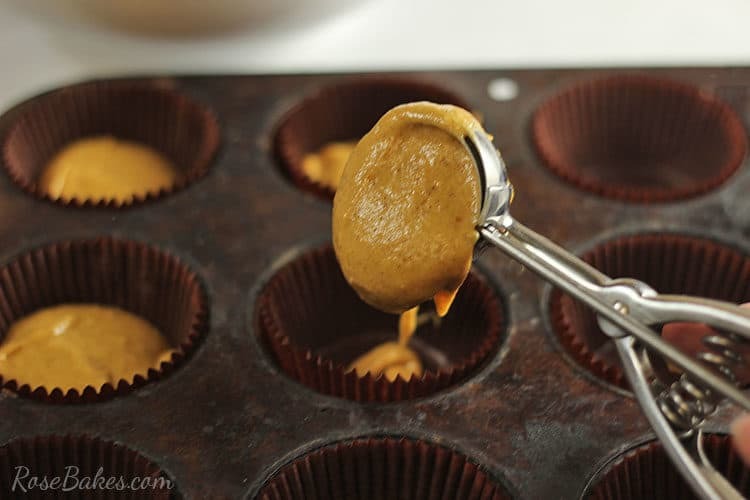 Preheat the oven to 325°F and line your cupcake pan(s) with baking cups. Begin by mixing all ingredients in a large mixing bowl and mix with a hand-mixer or whisk until all ingredients are thoroughly combined and smooth. Scrape down the sides of the bowl and mix again for about 1 minute. Scoop the cake into the cupcake liners (approximately 2 tablespooons each). Bake for 18-19 minutes. Cool completely. 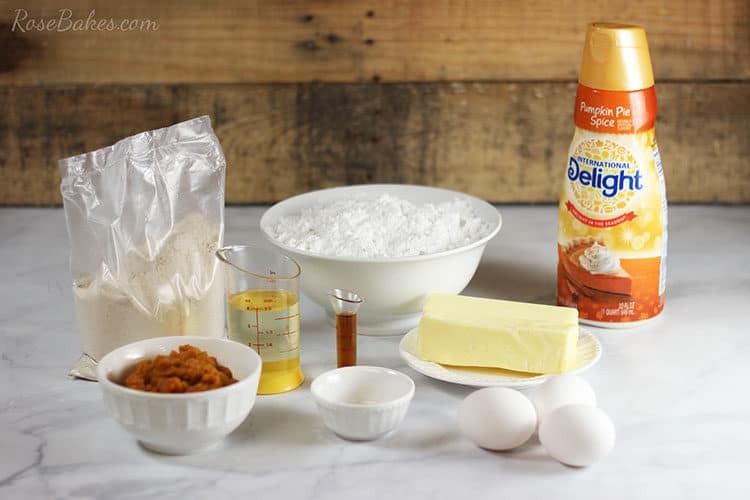 While baking, add the butter, pumpkin, creamer, spices and vanilla to a large mixing bowl. Cream together until completely smooth. Add the powdered sugar and mix until combined. Continue mixing untill you have a smooth, creamy consistency. Pipe the frosting onto the cooled cupcakes and enjoy! These are especially delicious with a cup of coffee or a glass of ice cold milk. 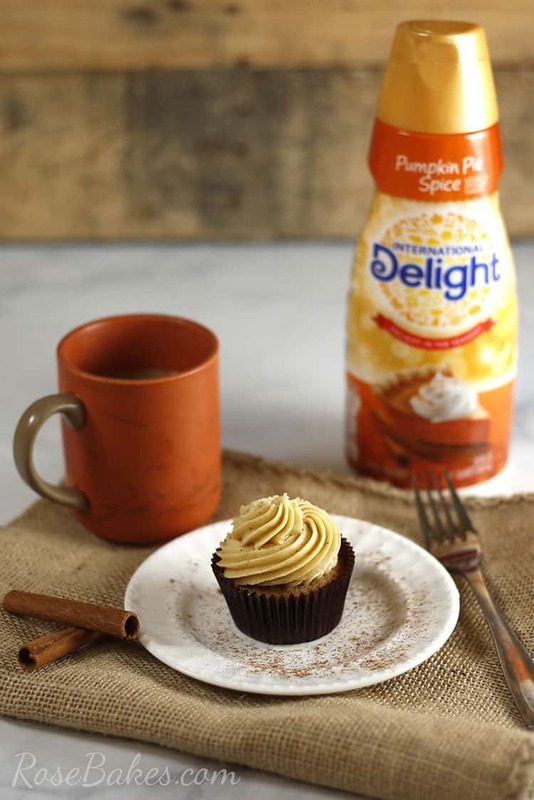 Bonus points if you have the coffee with International Delight® Pumpkin Pie Spice creamer!! 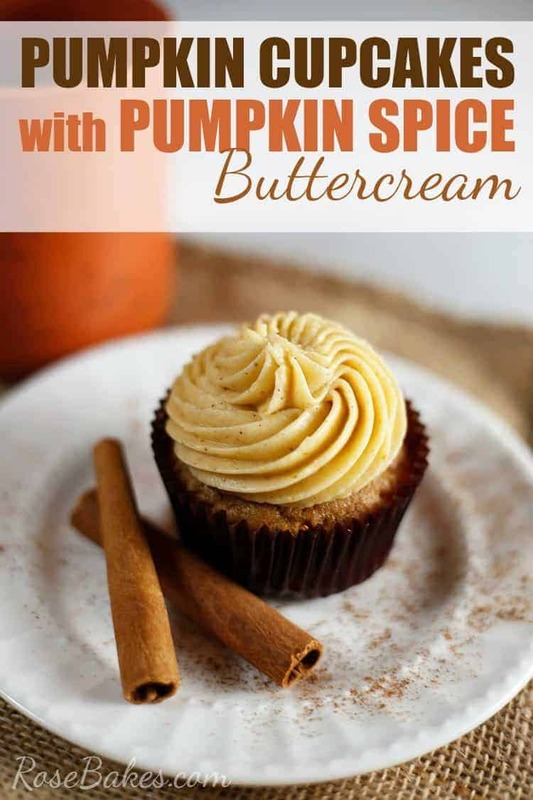 Do you want a free pdf for the Pumpkin Spice Buttercream Recipe? Enter your email below to sign up for my newsletter and you can download it for free immediately! 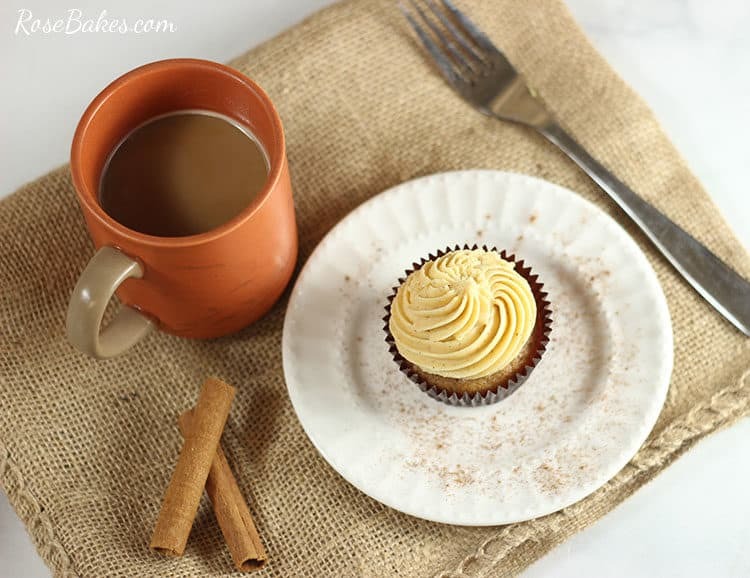 These Pumpkin Cupcakes with Pumpkin Spice Buttercream are the perfect way to welcome Fall! 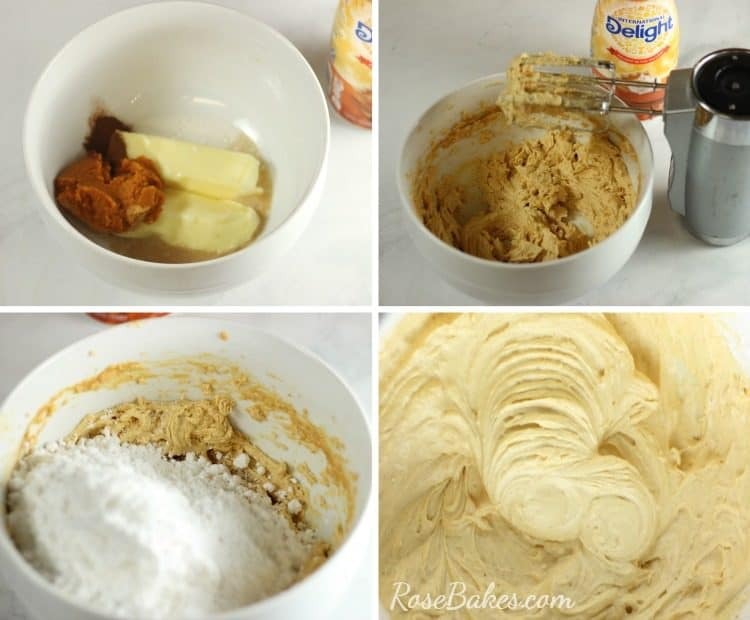 Begin by mixing all cupcake ingredients in a large mixing bowl and mix with a hand-mixer or whisk until all ingredients are thoroughly combined and smooth. 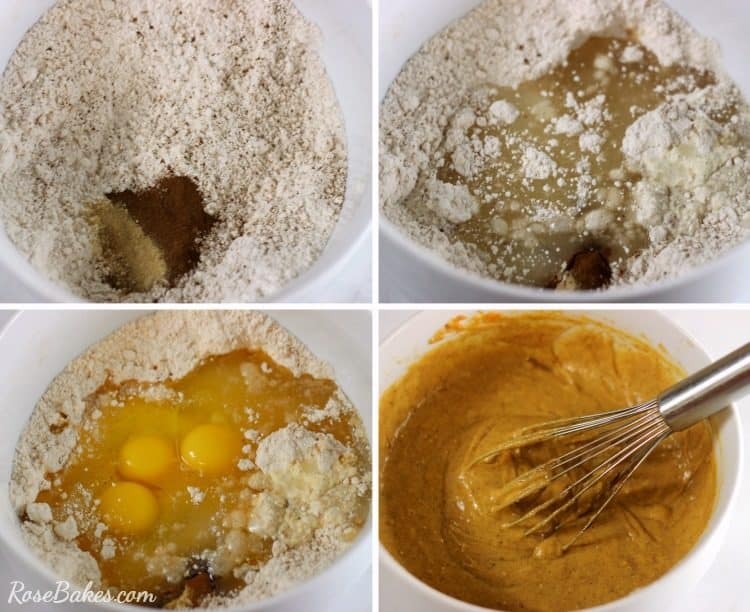 Scrape down the sides of the bowl and mix again for about 1 minute. Scoop the cake into the cupcake liners (approximately 2 tablespooons each). Bake for 18-19 minutes. Pipe the frosting onto the cooled cupcakes and enjoy!